Doctor Recommended! 5X/20D. 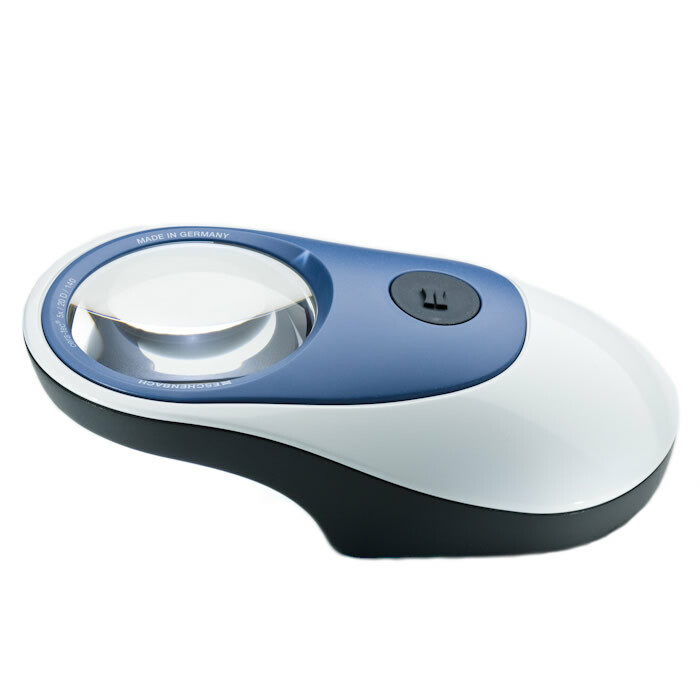 Eschenbach 5x aspheric 'Bright' LED illuminated stand magnifier with automatic switch off. Two LEDs positioned opposite to each other for optimum, pinpoint illumination of the reading material, no shadowing. Perfect illumination during battery operation, with mains no longer needed, the magnifier remains flexible and independent. Automatic switch-off after 30 minutes to prevent continued illumination after you have finished reading.